‘Shin splints’ is the term given to the pain resulting from the injuries at the front of the lower leg. Every athlete experiences shin splints at some point in their life. Shin splints are the bane of runners, tennis players, basketball players, football players, gymnast and dancers. The pain is relatively common at the beginning of a fitness program. Athletes who take part in high impact sports are at the highest risk, nevertheless even walkers can develop shin splints, especially if they increase their walking speed or distance quickly. Shin splints often plague newbie runners that increase their mileage too rapidly or veteran runners who abruptly change their workout regimen or add too much mileage. The change in terrain or switching from running on flat surfaces to hills can also cause shin splints. Mostly, shin splints are caused by running Too Much, Too Fast, and Too Soon. Shin splints or medial tibial stress syndrome is classified among the group overuse injuries and occur after repetitive movements that cause trauma at the site of shin bone. It is the inflammation of the muscles, tendons, and bone tissue around tibia. Shin splints can be painful and often disrupt training regimes of athletes. Pain typically occurs below the knee either on the front outside part of the leg (anterior shin splints) or along the inner border of the tibia, where muscles attach to the bone (medial shin splints). Often, the pain starts as the exercise begins, gradually gets better as the session continues, then gets worse again after the training session is complete. Here are some key points about shin splints. Medial area (the inside of the shin) is the most common site for shin splints. Anterior shin splints (toward the outside of the leg) usually result from an imbalance between the calf muscles and the muscles in the front of leg. Shin Splints mostly afflict the beginners who either have not yet adjusted to the stresses of running or are not stretching enough. Shin splints pain is felt along the lower front of the legs, especially during or after sport or workouts. Using the right footwear for sports is essential for preventing shin splints. Smokers and individuals with low levels of fitness are more at risk. According to an estimate, 10.7% of injuries in male runners and 16.8% of injuries in female runners are attributed to shin splints. 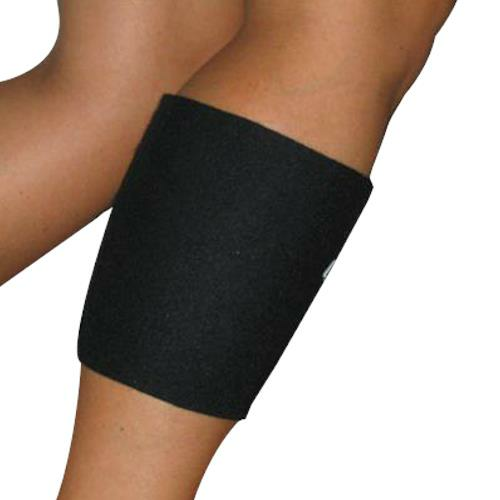 Aerobic dancers are among the most affected by shin splint with injury rates of up to 22 percent. In general, shin splints develop by repetitive activities that cause stress on the shinbone and the connective tissue that attaches the muscle to the shin bone. Shin splints can also occur after sudden changes in physical activity, such as sudden increase in frequency, duration and intensity of workout. Smoking and general lack of fitness also contribute towards developing shin splints. Overpronation- Foot and ankle overpronation is also thought to be a frequent cause of medial shin splints. 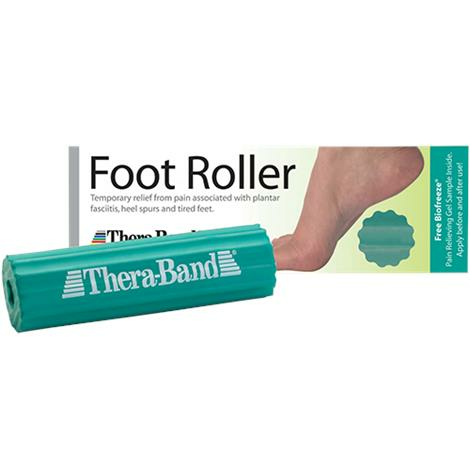 Flat feet or overpronation occurs when the foot rolls inwards too much flattening the arch of the foot and causing the lower leg to rotate inwards. More stress is placed on the inside of the foot (medial) than the outside edge of the foot (lateral). This abnormal movement in turn increases the stress on the soft tissues of the lower leg resulting in pain and inflammation. 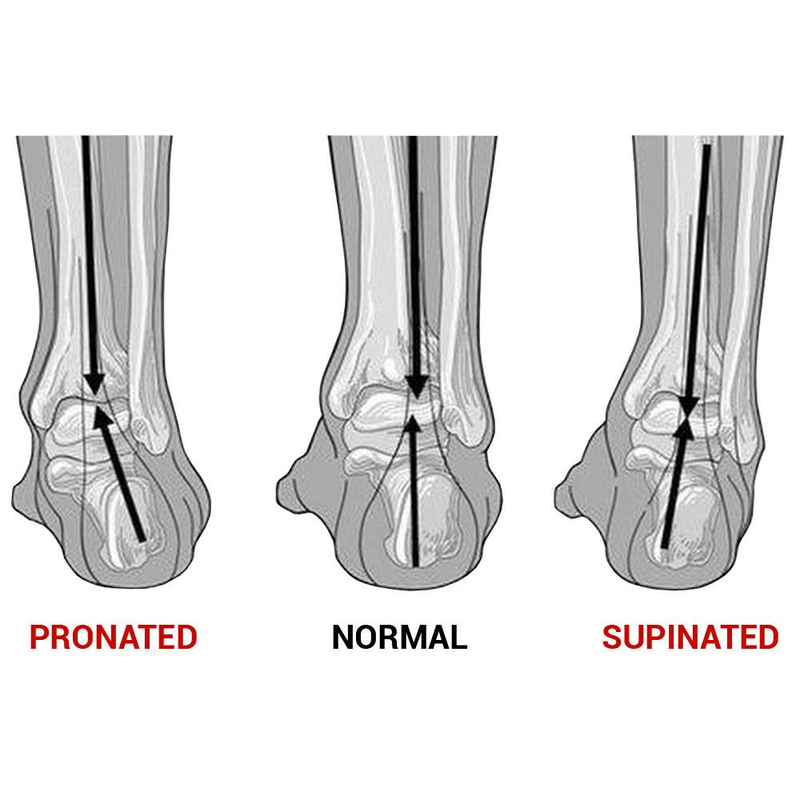 Oversupination- It is similar to Overpronation except for the fact that the foot rolls outwards too much during the time the foot is in contact with the ground. A physical therapist can do gait analysis tests either with a treadmill or using force plates to determine biomechanical issues. 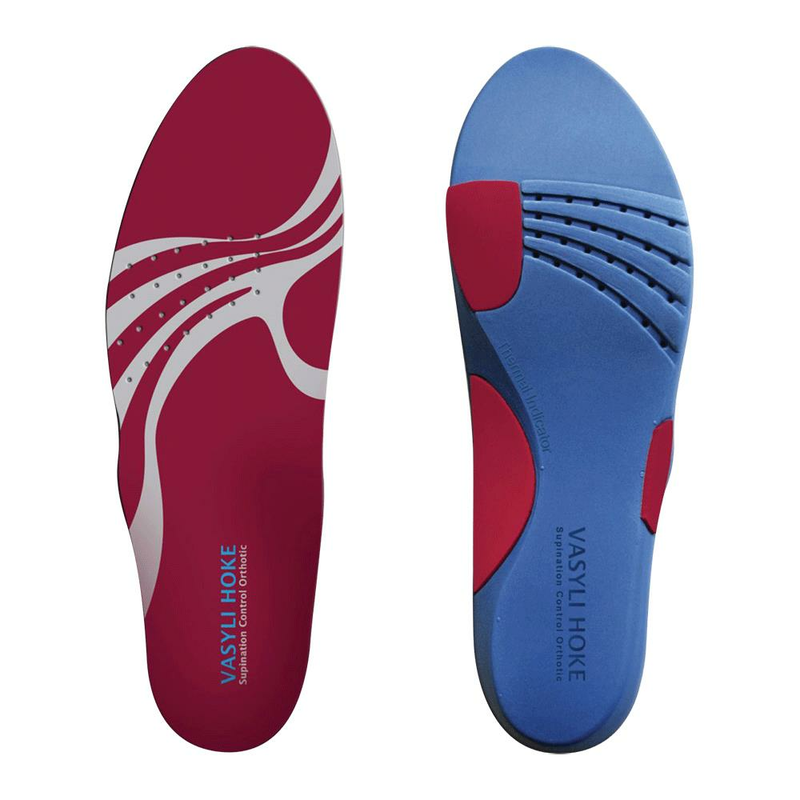 Corrective orthotic inserts for your shoes can help you correct the balance. Inadequate stretching- Working out without warmup or cooldown stretches can cause shin splints. Make sure to stretch your leg muscles before each workout session. 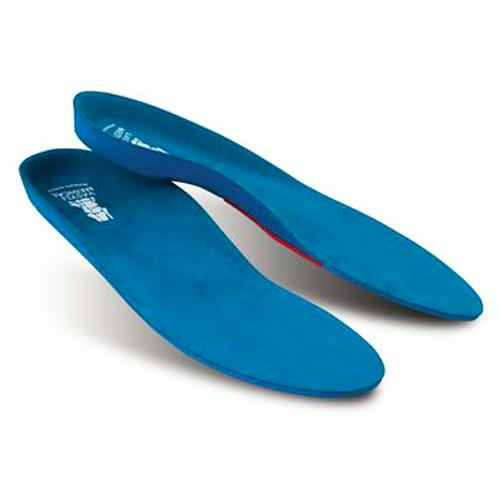 Inadequate footwear - Wrong type of shoe for your running style or running shoes that are too old and worn out to provide correct support and cushioning can cause shin splints. Poor Body Movements and Flexibility- Poor flexibility at the ankle, pre-existing muscle imbalance and weak core muscles can cause increased stress on the soft tissues, muscles and tendons of the lower leg when running. Sudden Motions and Excessive Workout- Excessive stress while training is one of the major causes of shin splints. Running on hard and uneven surfaces or on your toes as in sprinting increase the risk of injury. Football and basketball players that play on hard surfaces and are required to stop or start moving their legs suddenly are at higher risk of developing shin splints. 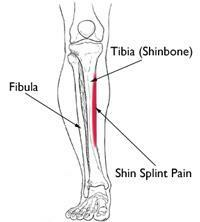 Shin splints pain is characteristically felt in the front of the outer leg below the knee at the shinbone (tibia). The area of discomfort can measure upto 4-6 inches (10-15 cm) in length. Pain at the beginning of exercise which eases as the workout continues only to become worse later in the training session or afterwards. Potential swelling of the lower legs or lumps and bumps felt along the inside of the bone. Occasionally in severe cases development of red patches on the skin over the inside of the leg from acute inflammation may be seen. 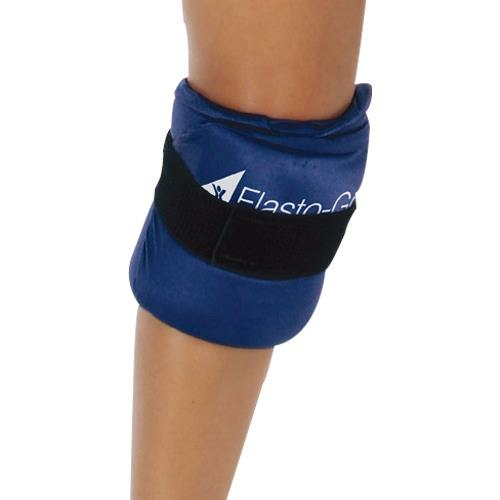 Shin splint pain may be sharp and razor-like or dull and throbbing. The pain is aggravated by touching the sore spot. Conditions like stress fractures, Tendinitis and chronic compartment syndrome have symptoms similar to shin splints. Get yourself checked by a doctor to know the exact cause of the pain. Diagnosis of shin splints by an X-ray can rule out other causes. What are the Treatment methods of Shin Splints? If you have medial shin splints stretch your Achilles and stretch your calves if you have anterior shin splints. 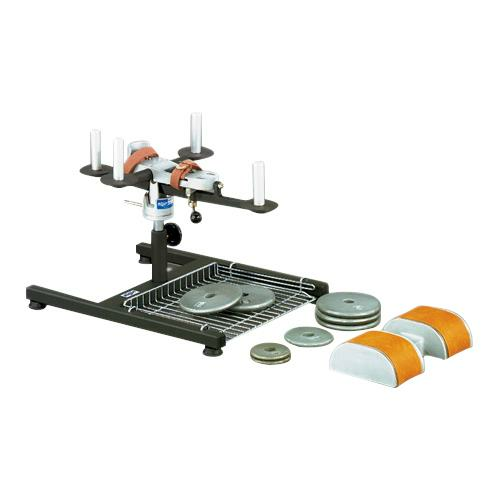 The best way to do this is to use the ProStretch Leg Stretching Device. Calf stretching exercises helps stretch the tibialis posterior muscle to alleviate the shin pain. Perform the calf stretching exercise both on bent and straight knee. Toe raise and calf raise exercises strengthen the muscles of the lower leg. You can slowly stretch your shins while kneeling on a mat. Hold your legs and feet together and point the toe backwards. Support your weight on hands and slowly sit back onto your calves and heels. Hold in the position for 10 to 15 seconds. Relax and repeat the exercise 3-5 times. 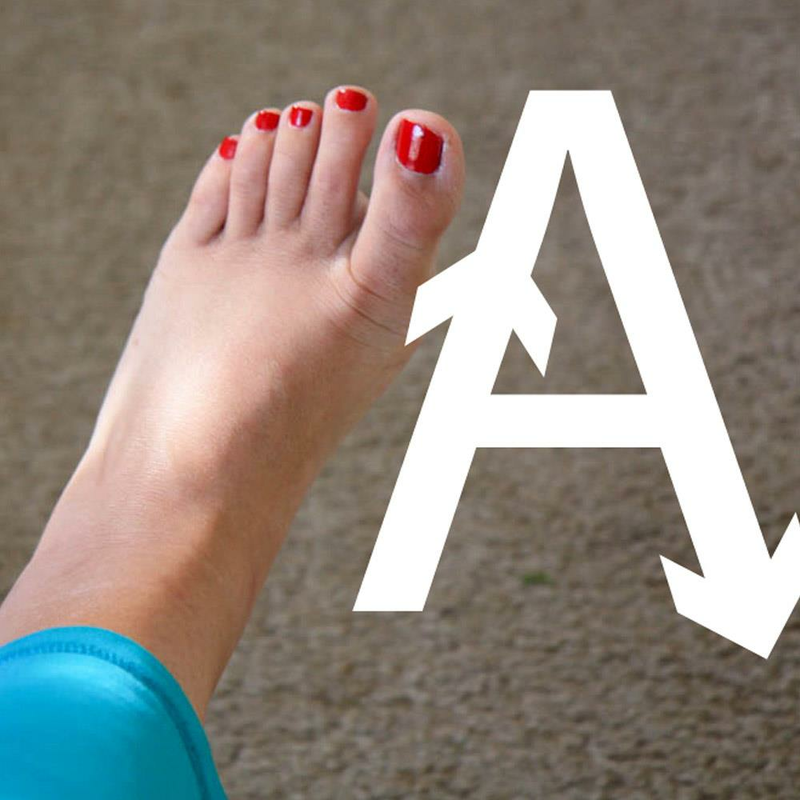 Strengthening exercise such as balancing yourself on one leg in standing position and spelling out the alphabet on the floor or in the air with your toes is beneficial. Repeat the exercise on each leg for 5 to 10 minutes. 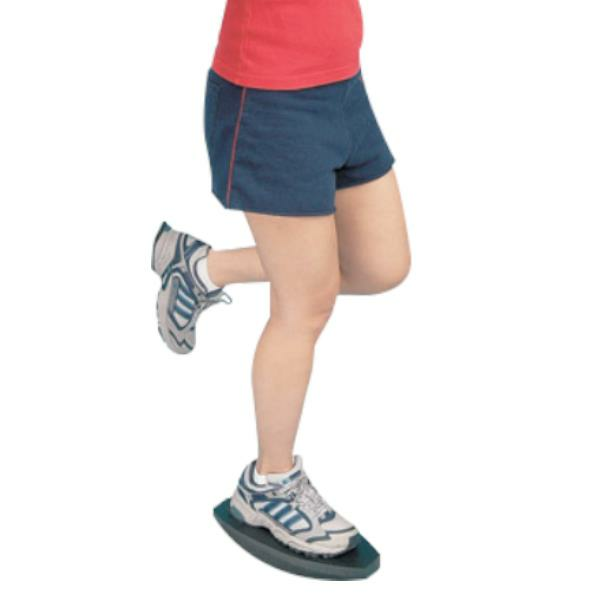 Alternate walking on your heels for 30 seconds is another great strength exercise. These strength exercises help in quick recovery and prevention of shin splints. 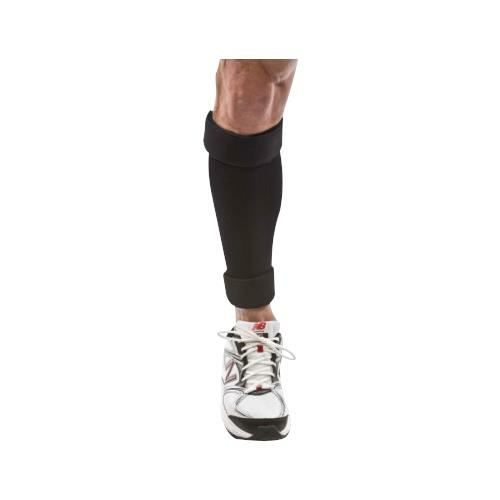 Compression prevents the stress by binding the tendons up against the shaft of the shin. 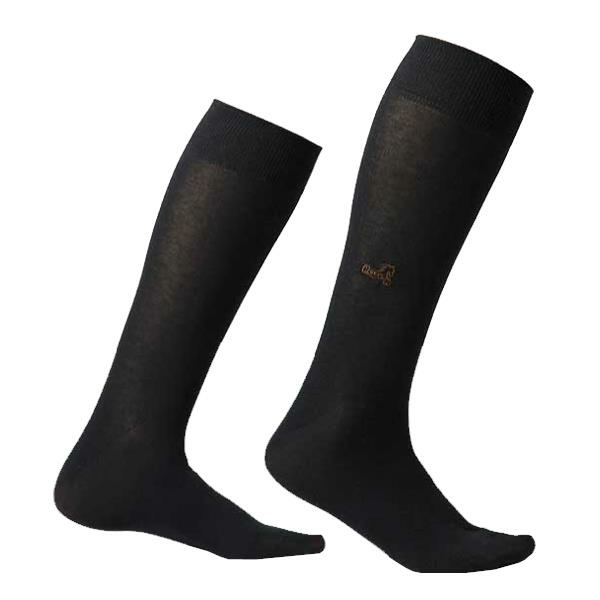 You can try knee length compression socks or stockings to protect and support the shin area. 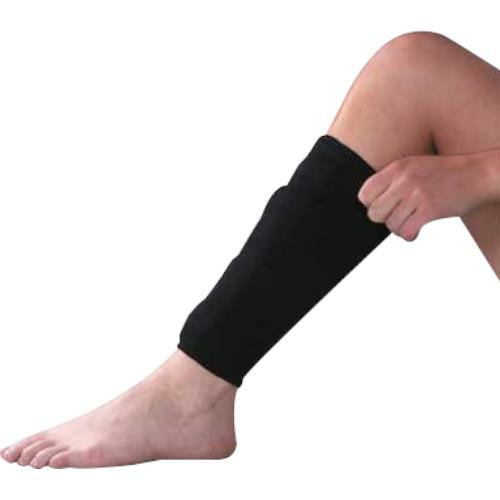 Cho-Pat Calf Compression Sleeve or the Shin Splint Compression Sleeve are good choice for those suffering from shin splints. Take rest or cross-Train to let your shin heal. Swimming, kayaking, golf, yoga, martial arts and aqua bike riding are good choices to cross train. Buy the correct running shoes suitable for your foot type. Motion-control shoes are special running shoes with a firmer midsole on the inside to reduce the amount of rolling are best for overpronators. 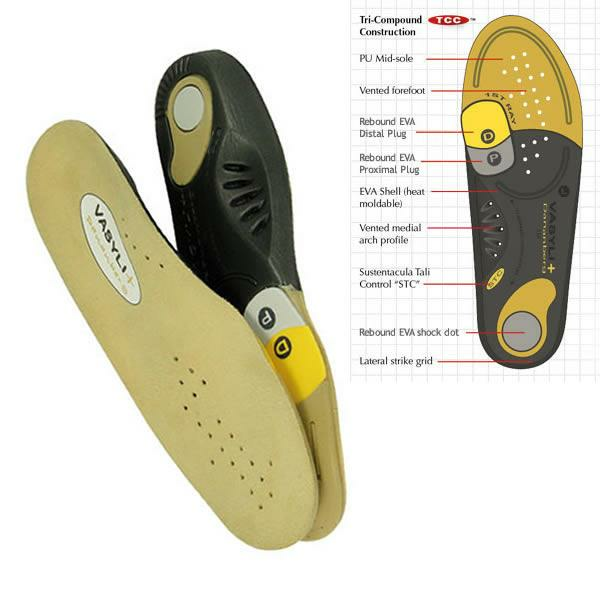 Neutral shoe with plenty of cushioning are ideal for Supinators. 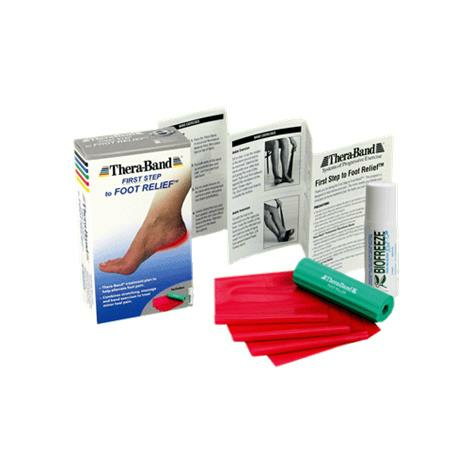 Orthotics is typically recommended for people who have flat feet or recurrent problems with shin splints. 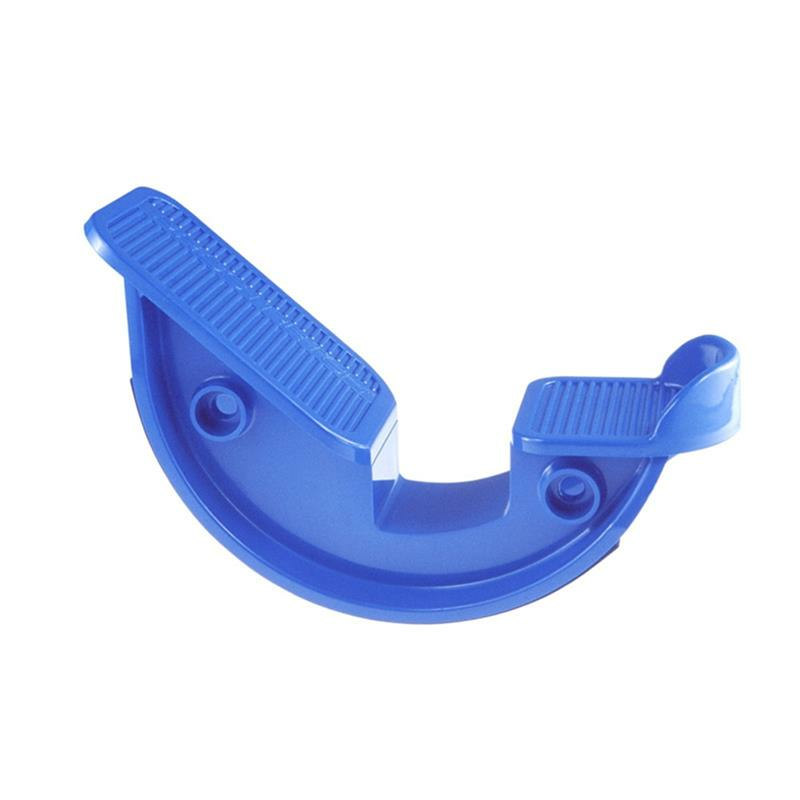 Shoe inserts takes the stress off of lower legs and help align and stabilize foot and ankle. Avoid hills, slopes, uneven and hard surfaces until you completely recover from shin splints. Take precaution or go slow while walking on cambered roads. 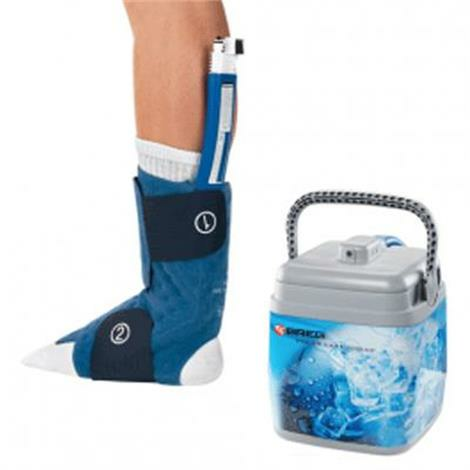 Appling cold therapy via a cold pack or cold therapy compression wrap can ease the pain and swelling in the affected area. 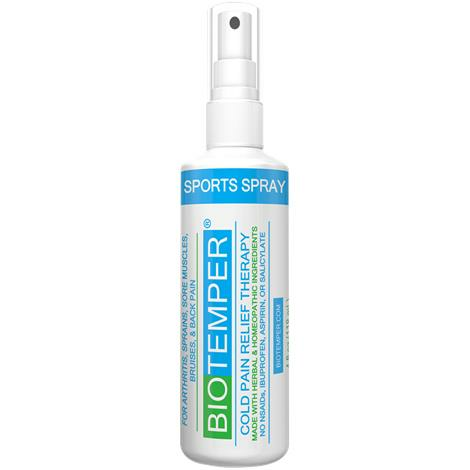 Use can also apply topical pain relievers for instant pain relief. Try leg massage to improve flexibility and reduce stress in the muscles of the lower leg which may be causing traction on the bone. 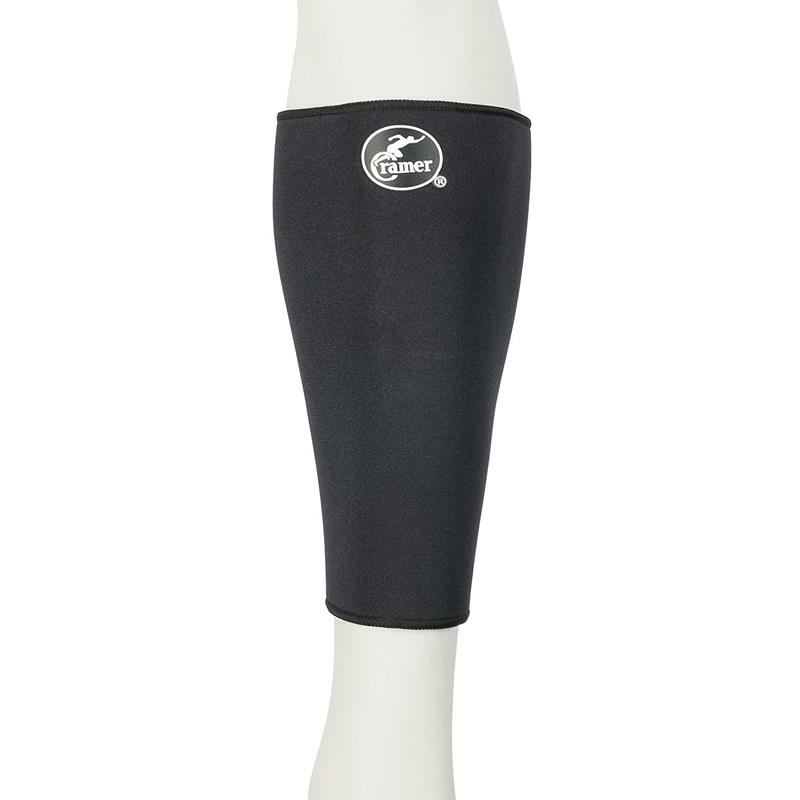 Leg massager can help remove tight lumps, bumps and knots. They improve blood circulation which may aid the healing process. Consult your physical therapist who could guide you how to massage your leg properly. This yoga pose stretches the groin, hips, thighs and feet. The pose is perfect for those with hip or knee problems. Stand comfortably on the floor, raise your hands and fold them together. Step your right foot forward between your hands. Stack your right knee directly over the right ankle. Lower down the left knee and slide the foot back to feel the stretch in the left hip and thigh. Take 5 to 10 breaths and repeat the process on the other side. This yoga pose improves balance and strengthens the ankles. It builds stamina and endurance in your thighs and stretches the psoas and hips. The pose is also helpful in relieving sciatica pain. From the standing position move your right leg forward. Join your palms together at heart center. Lift your left knee, push your left heel back and stretch the spine. Twist to the left and slowly lift your left hand up to align with your shoulder. Hold the position for five breaths and switch the sides to repeat the pose on opposite leg. This yoga pose will stretch your outer hips, thighs, psoas and groins. The pigeon pose also strengths the core muscles of your hips. Begin with a tabletop position with hands under your shoulders and knees under your hips. Slide your left knee behind your left hand and left foot in front of your right hip. Stretch your right leg back behind you and relax it on the ground. Lower your hips toward the floor. Balance your weight on both legs and keep your torso straight. Remain in this position for 5 breaths or longer. Extend your hands out in case you need a little more stretch. To come out of the pose gently push back through the hand, rest on your forearm and lift the hips. Switch sides after every 5 to 10 breaths. This yoga pose provides a gentle twist for the spine a deep stretch for the outer hips. Lie comfortably on your back and bend your knees up to a tabletop position. Extend your arms out alongside the body in a "T" position, with your palms facing up towards the ceiling. Gently cross your knees over to the right side lowering them to the ground and gaze towards the left. Hold the position for 5 to 10 breaths before switching the sides. Remember, to consult with your doctor or physical therapist before beginning any new exercise program. Flexibility- Check if your injured leg is as flexible as your normal leg. Strength- Check if your injured leg feels as strong as your normal leg. Painful Spots- Press hard on injured area, it should not be painful anymore. Stress- Check if you can sprint, jump and jog without feeling any pain. Shin splints might take upto 3 to 6 months to heal completely depending upon the reasons of the injury. It is crucial to first get healthy and fully recover from the injury before returning back into your sport. There are high possibilities of re-injury and permanent damage, if you start to work out before your shin heals. You can perform aquatic exercises like swimming to avoid aggravating your shin splints while they heal. 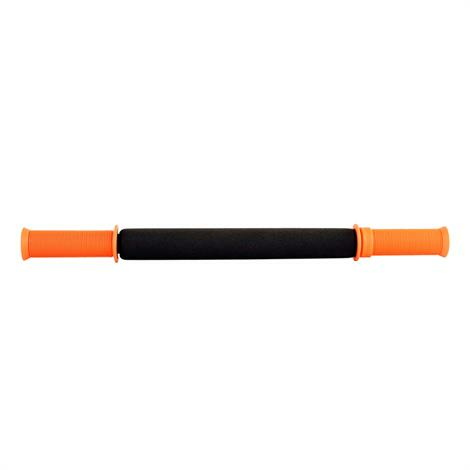 Healthproductsforyou.com carries wide range of rehabilitation therapy products to help you get back to your daily routine. If your shin splints do not heal even after proper rest and treatment consult your doctor to diagnose other reasons for the leg pain.